This season has seen another strong showing by Essex Olympian League Clubs in external competitions. Frenford Senior won the Essex Premier Cup, Bishops Stortford Swifts the Herts Senior Centenary Trophy, FC Hamlets the London Junior Cup, Springfield were runners-up in the Anagram Records Trophy, and Ryan Under 21s runners-up in the Essex Junior Trophy. A tremendous achievement by those Clubs and a testimony to the playing strength of this League. In developments off the pitch the League has seen progress in a number of areas. We have a new League website which has a more modern look and feel to it. 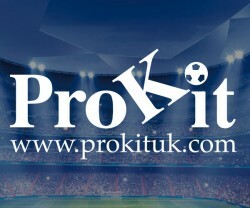 Our sponsors, PROKIT UK, have increased the amount their sponsorship package of the EOFL. A Development Committee has been formed to recommend initiatives for the benefit of the League and the member clubs as well as producing our Plans that are required by the FA. The League continues to be well supported by the FA both in terms of grants and assistance with League development. With regard to the member Clubs I am pleased to say that administration has continued to improve. There were 21 Clubs this season without any fines for their administration which is a great achievement. I have to report there have been specific issues with discipline this season which is unacceptable to the League and the standards that are expected. The majority of Clubs are well behaved but there is a small number that are not. Discipline is in the hands of the County FA but the League has the ultimate sanctions available to tackle this and it will. On the pitch it was another very competitive season. The traditional curtain raisers; the Senior Challenge Cup was won by Kelvedon Hatch and the Reserve Challenge Cup won by Frenford Senior. This season saw the start of the new divisional format for First and Reserve teams. Senior Division 5 was closely contested with Galleywood Res finishing as champions and Harold Hill Res runners-up after beating Sungate Res in the last game. Senior Division 4 was won by Old Chelmsfordians Res with Rayleigh Town Res runners-up both Clubs finished a long way clear of the pack. Benfleet won Senior Division 3 and Sungate runners-up. Catholic United were champions of Senior Division 2 following on from winning the Division 3 title last season. Great Baddow were runners-up in their first season back in this League. Division 1 was won by Canning Town and they return to the Premier Division next season after a five year absence. Leigh Ramblers finished runners-up after narrowly missing out on promotion in the last 2 seasons. After finishing in second place for the last four years, Kelvedon Hatch were the Premier Division champions. Manford Way chased hard all season eventually finishing as the runners-up with several Clubs close behind. This division remains hotly contested. In the Under 21 section we hoped we had hoped to start with two divisions but team withdrawals before the season left us back with the original one division. New Club FC Clacton won the title with Hutton a point behind. The Denny King Cup was also won by FC Clacton with Ryan the runners-up. This section of the League is all about development and it clearly is helping some Clubs and retaining players that would be lost to the game. There was a three way tie for the League’s leading goal scorer. Gavin Cockman (Bishops Stortford Swifts), Joao Massala (Westhamians Under 21s) and Reece Tranter (Manford Way) all finishing with 28 goals. The Senior Cup Final was an all Premier Division affair between the Premier Division first and second placed teams; Kelvedon Hatch and Manford Way. The match went in to extra time with Kelvedon Hatch eventually coming out on top with a single goal. A great double for the Club. It was also a double for Rayleigh Town who beat Newham United in the Reserve Cup Final to go with their promotion from Senior 4. For the sportsmanship awards Leytonstone United won the best Club award and Senior 5 champions, Galleywood Reserves, won the best team. In other awards the Club Linesman of the season is Paul Staniford of Snaresbrook, Alex Mullett the Referee of the season, Richard Hollis is clubman of the year, and Barry Sweeting of Herongate received the Patrons award for services to the Club. There were special awards for Don Stewart who stepped down as Rep team Manager last season and also for John Cook and Alan Friend who are both stepping down at the AGM. Peter Godfrey and John Cook have also been recognised by Essex County FA for 30 years’ service to this league.